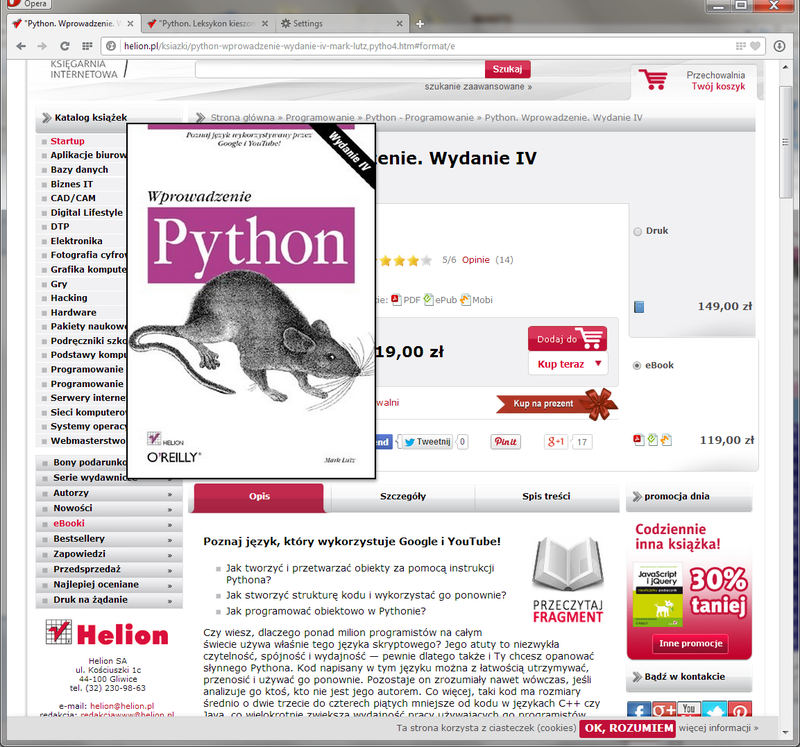 The Python books I've written are available in both print and electronic formats from a variety of retailers around the world. Although this support site doesn't sell books directly, this page provides a handful of pointers on purchase options and resources, and addresses a few product-related FAQs. Update: as of early 2018, you can buy PDF and ePub versions of my books at eBooks.com—the source now recommended by my publisher's customer service. Update: as of June 2017, my books' publisher no longer sells individual books on its own website. Instead, its book pages now emphasize online-only Safari subscriptions, and have a grudging link to Amazon for purchasing books. The publisher will still print books, and you can still buy its paper books and ebooks from the many sources below. This page's images now link to Amazon book pages accordingly. For more on this change, see the faq and discussion. Though print is popular for my titles, both ebooks and Safari provide color images, and are searchable mediums that can serve as either complement or alternative to print. For ebooks, PDF is a print-like format; ePub is a flexible device- and vendor-neutral option; and Mobi is designed for Kindle. 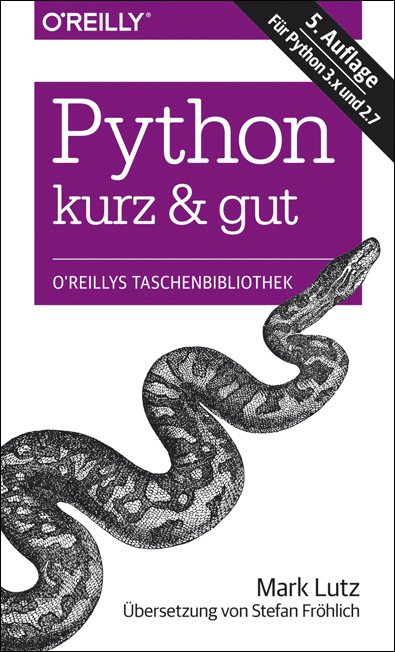 There's more about using O'Reilly's ebooks on this page, though the DAISY and .apk formats it mentions may be obsolete. Although my publisher no longer sells its books directly, there are multiple retailers that do. You can find my titles at Amazon, Barnes & Noble, and many other book retailers. You can find my titles at ebooks.com as PDF and ePub (formerly in O'Reilly ebook bundles); at Amazon for Kindle, and Barnes & Noble for Nook; and at Google Play for Google Play Books, and Apple iTunes for iBooks. Some ebook vendors, including Google Play, provide both app-based reading and downloads of general PDF and ePub ebooks (though Google's PDF is custom). Others may offer more proprietary choices, and the usual caution about vendor lock-in applies: beware media traps. The Safari service also hosts my titles on the web, but its subscription model is really just a rental agreement; your books are yours there only as long as you pay the fee (and the service lasts). Print and ebook options generally offer more control of your content. The publisher may also offer academic and bulk-purchase discount options; see its faq for pointers. See also this Nov-2017 note about temporary inventory outages at Amazon. may retain code formatting better than PDF ebook readers. This matters in a language like Python where indentation counts as part of statement syntax. 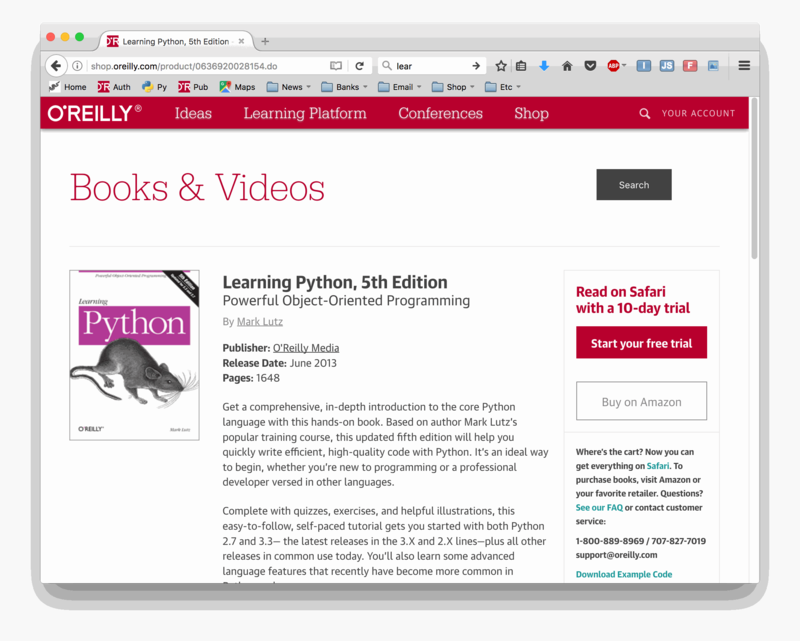 Calibre is free and open source (and, as an aside, is written primarily in Python, using PyQt for its GUI); ePub is available at ebooks.com and others; and Safari is a subscription service. See above for more on vendors. Also note that some characters may require manual replacement in code snippets due to non-ASCII formatting. Dashes, for instance, may have been changed in production to emdashes that can generate syntax errors. 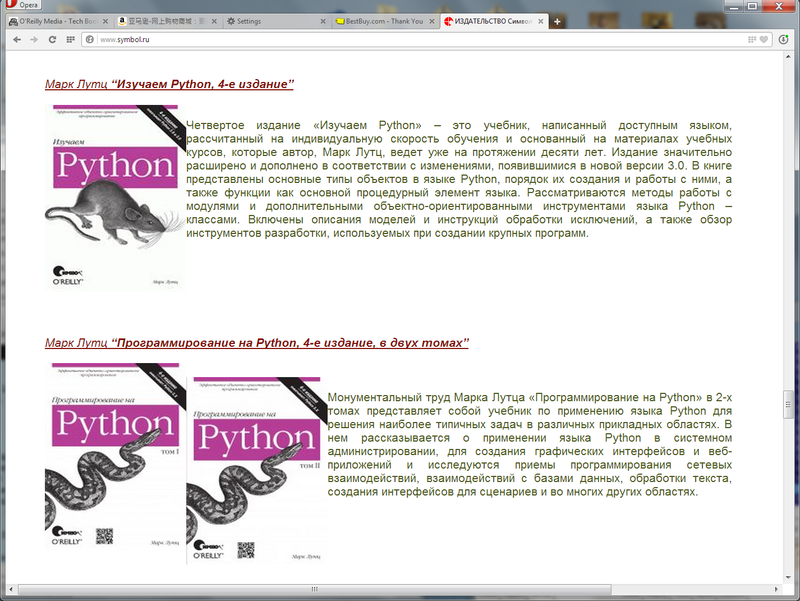 If cut-and-paste fails for you, fetch your book's examples distribution package (see this site's book pages). That said, you should also expect to be writing some code manually very early in the learning process. 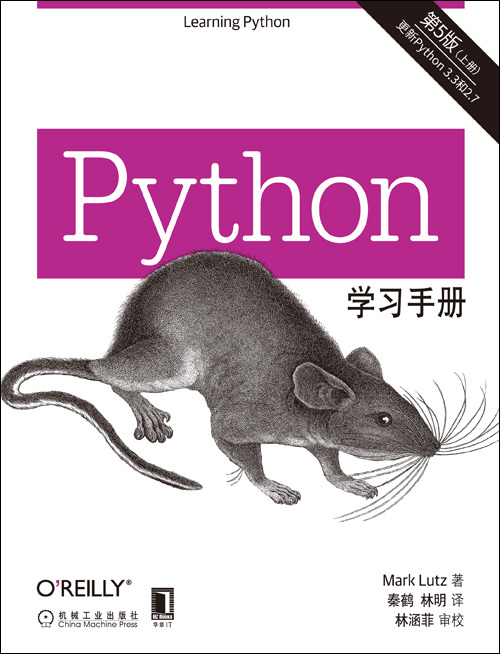 It's an important part of mastering a language's syntax, and is required of anyone seeking to develop new software. Cutting and pasting code alone is not programming, despite what some resources may imply. 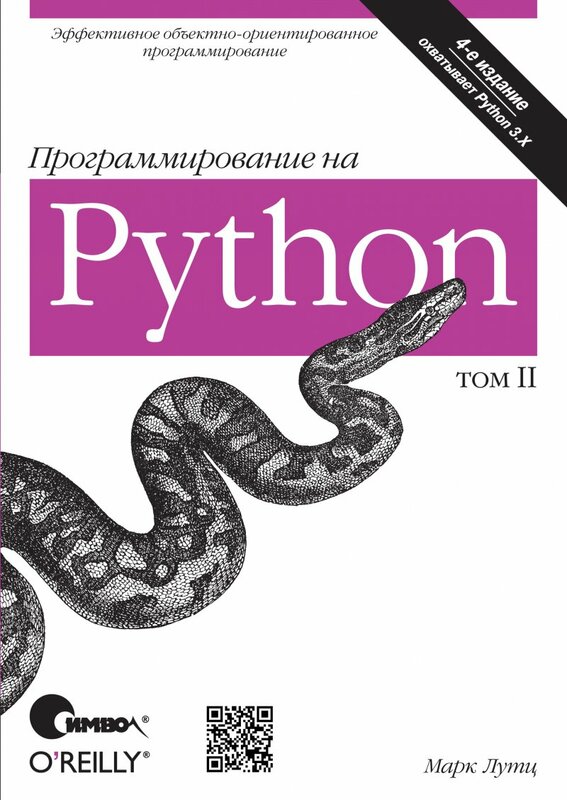 Learning Python is a language foundations tutorial. 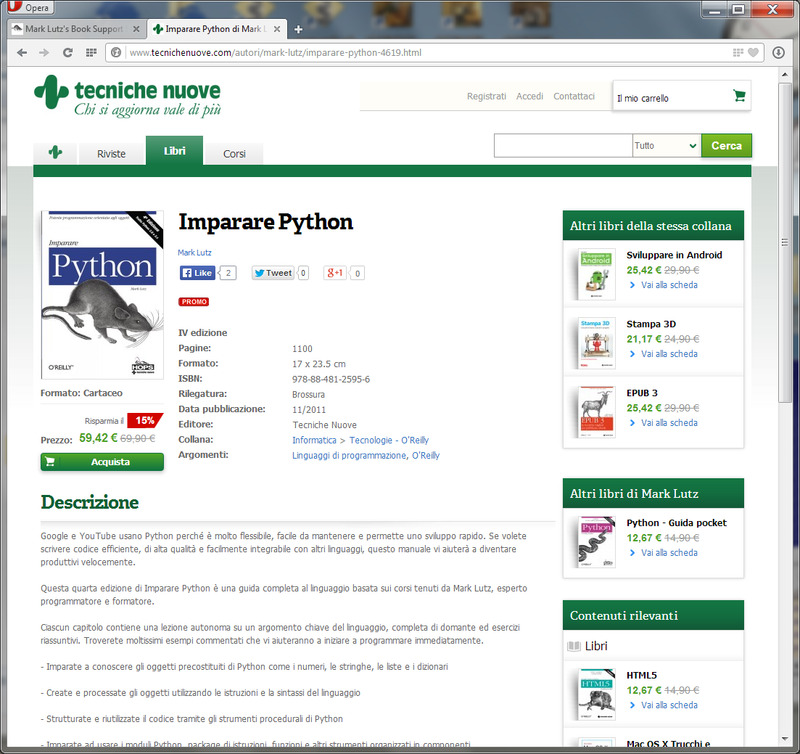 Programming Python is an applications programming tutorial. 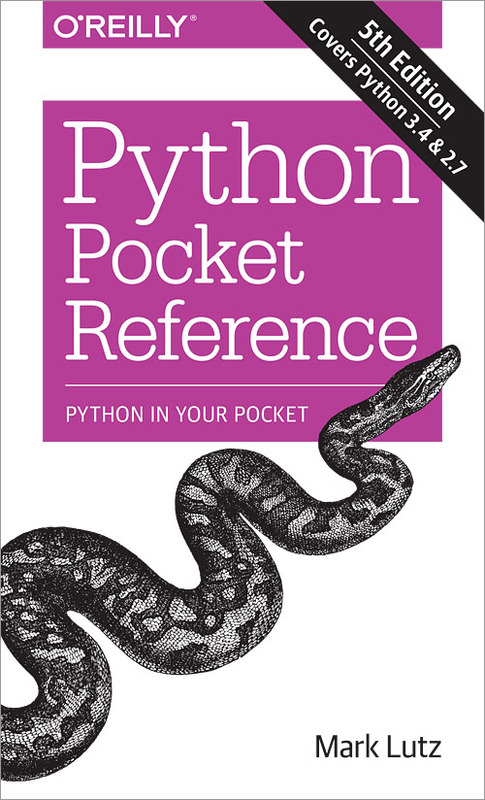 Python Pocket Reference is a supplement to the other two. 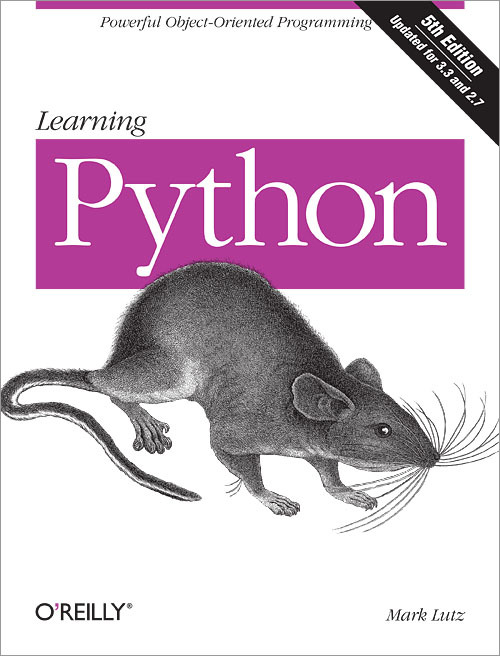 If you are relatively or completely new to Python, you may be best served starting with Learning before moving on to Programming. 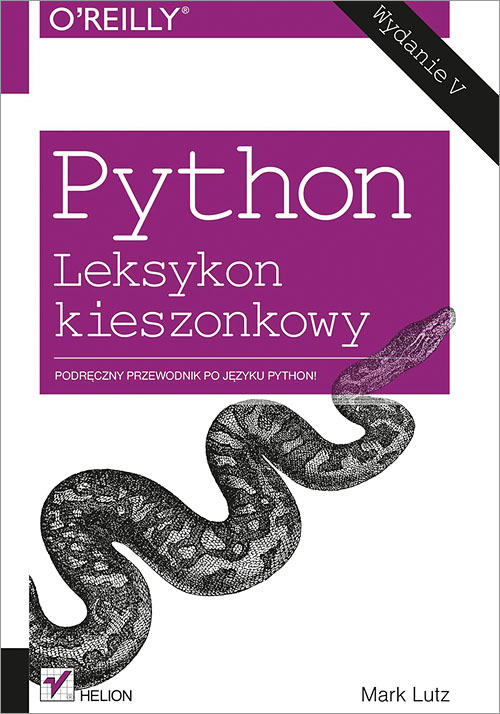 If you already know Python well and are hoping to find coverage of GUIs, Internet, databases, text, and so on, you might prefer Programming. Also note that Learning is not the next version of Programming, despite its higher edition number. 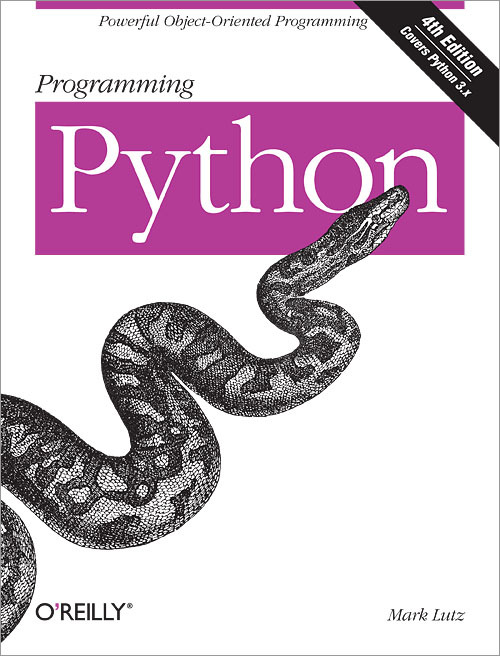 There is no 5th Edition of Programming in the works, as it does not require an update. In addition, the Pocket Reference is designed to be a companion to the other two, though its current 260-page edition is a substantial reference text in its own right. For more on book scope, see also the book pages listed above, and recent reader replies here and here. These books are sold in a wide variety of forms and outlets—from paper volumes in traditional bookstores, to ebook "apps" in online stores. Most of these are valid and useful products, but there have been reports of others of inferior quality. As always on the web, please be aware of what you're downloading and purchasing. If in doubt, go with a known retail sources like those above to make sure you're getting a legitimate copy. Other publishers and authors are starting to infringe on my books' titles, and are unfortunately being supported by my own publisher's marketing. See the May-2016 note here for details. Imitation may be a kind of flattery, but this also exposes some unavoidable dark sides of the publishing business. Please be sure that you are selecting the book that you intended to purchase. A note to Kindle readers: if the text looks subpar, try selecting "Publisher Font" in your font options. Depending on your format and device, this may better distinguish sections and substantially improve the reading experience.